Decorate your photos with 10000+ perfect photo frames and stickers or create your own photo frame or collage! Decorate your photos with this awesome photo editor, choose a photo from the gallery or take a shot with the camera, then apply the frame or calendar you like, then choose any decoration like stickers, letters, phrases or photo elements and you can share a decorated photo to your friends or save photo to your device. 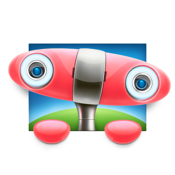 Create a photo frame of your dream from scrap elements and show it to other users. Take your time of fame and glory. 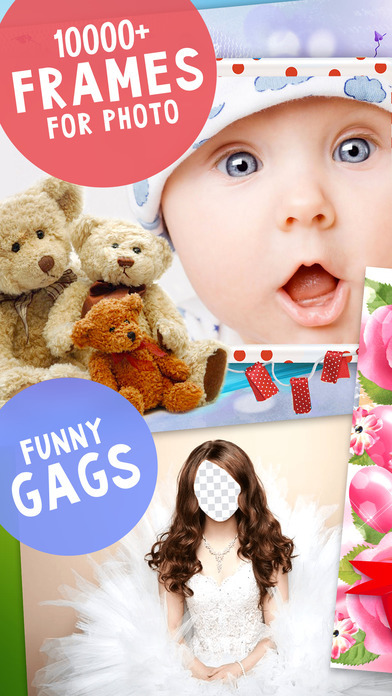 To make a collage you can use stickers, elements, decors, texts, alphabets etc. 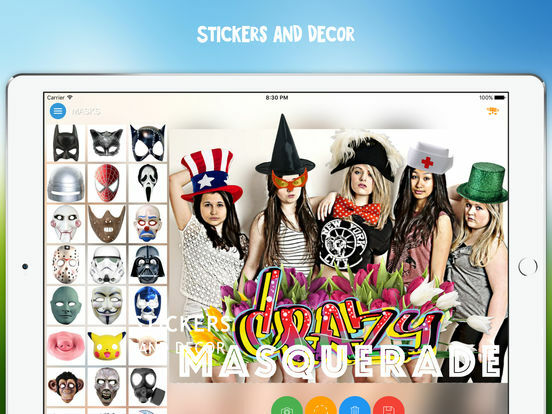 Try to create a funny collage with our masquerade set which contents hats, moustaches, eyes, lips, wigs, masks, glasses and dresses. And we have lots of funny animal faces! 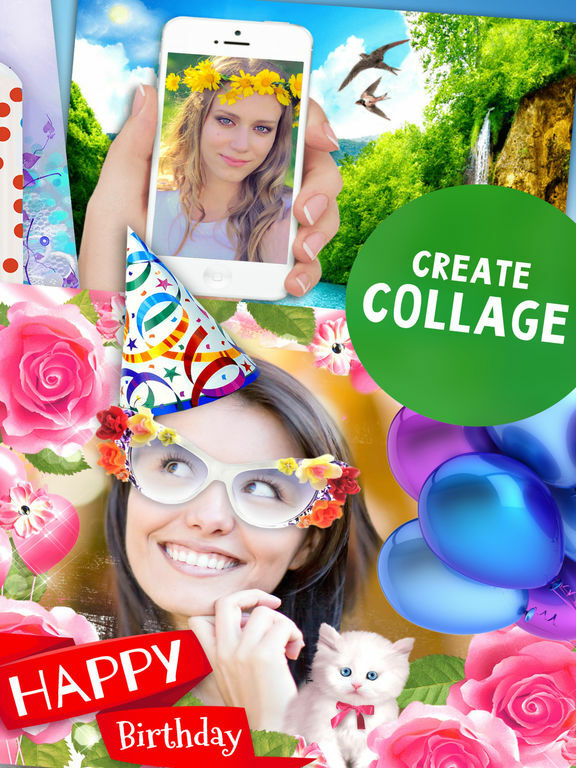 You can make your own comic style collage with Webka's comic frame templates, phrases and text clouds. 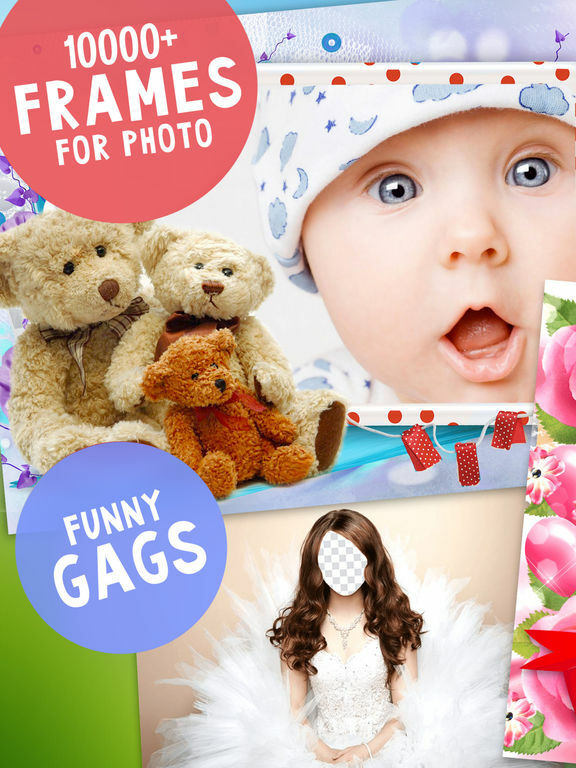 Webka has flowers photo frames, baby frames, men frames, nature, landscapes, food, teens, animals, love frames, romantic frames, pregnancy, glamour, fishing, cars, cartoon, celebrity, sport, retro, zodiac etc. Webka has international holidays photo frames for birthday, anniversary, wedding day, jubilee, epiphany, easter, graduation, Boss's Day, Father's Day, Mother's Day, Chinese New Year, Happy New Year, Merry Christmas, Valentine's Day, Halloween, Victory Day, Pancake Day, Saint Patrick's Day, Labour Day etc. Webka has USA holidays frames for Martin Luther King Day, Groundhog Day, Memorial Day, Independence Day, Veterans' Day, Patriot Day, Constitution Day, Columbus Day, Thanksgiving Day etc. Webka has Japanese holidays frames for Setsubun, Hinamatsuri, White Day, Hanami, Children's Day, Marine Day etc. Webka has Korean holidays frames for Children's Day, Arbor Day, Buddha's Birthday, Memorial Day, Constitution Day, Independence Day, Thanksgiving, Armed Forces Day, Foundation Day, Hangul Day etc. Webka has Thai holidays frames for Coronation Day, Visakha Bucha Day, Bucha, Chulalongkorn Day, Songkran Day etc. Webka has religious holidays frames for Nowruz, Hanukkah, Purim, Good Friday, Eid al-Fitr, Eid al-Adha etc. Also, Webka can help you create some pictures for print like a calendar for many themes like Christmas calendar, school calendar, etc. or timetable for school, or labels for bottles. Calendar photo frames is a very usable thing. You can add your photos to the calendar, print it and put your perfect calendar on the wall! And 2016 year's calendars already here! Do you want to make your family tree? No problem, Webka has it too! 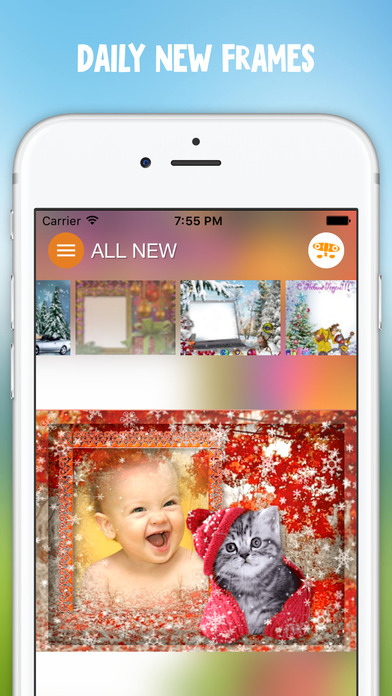 Our users create tonnes of new photo frames every day, so that you don't feel the lack of! We value our users and welcome your thoughts and feedback.